After months of silence, the sound of 2 litre touring cars made a thunderous return. The BTCC Media Day is a chance for the public and press to get their first glimpse of the cars they will be following for the season ahead. In the backdrop of the legendary Donington Park circuit, the time had come for the teams to showcase the results of their winter’s labour. This was my first time attending the Media Day, and I was not disappointed. The first thing I noticed was the sheer volume of support from the fans; the queue to get into the circuit at 12:30 reminded me of days gone by when I would wait in line for hours to see my favourite band up close and personal. If there was no other proof that would be enough, the BTCC is a shining jewel in the crown of not only British but world motorsport. As the gates opened a rapturous combination of applause and cheers echoed down the line, this was going to be a good day. It has felt like a lifetime since enjoying the full BTCC experience of the senses; the sight of touring cars charging around the track, the smell of the exhaust mixed with the fragrant aroma of the burger vans and the explosive sound of the 2 litre engines all coming together in such beautiful harmony. It was released in the close season that Robb Holland would not compete in the 2015 season due to other commitments, and it did not take long for the seat to be filled. 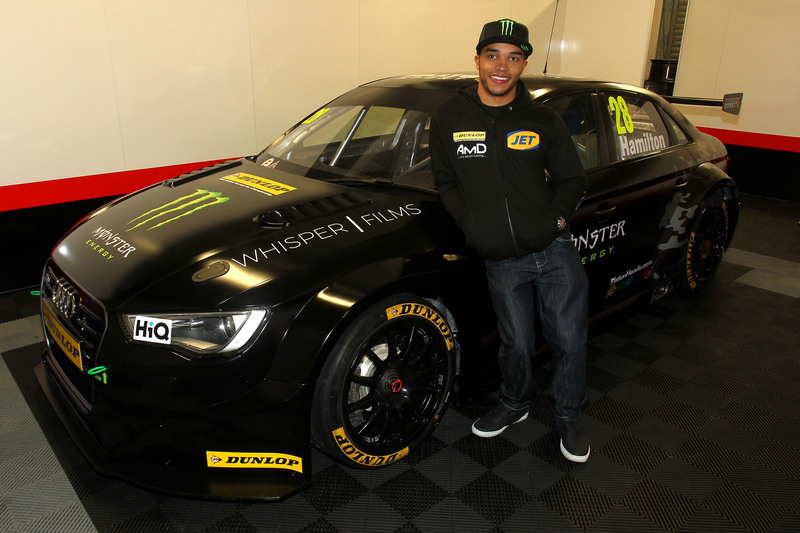 So, it came as no surprise that one of the biggest news stories to come from Media Day was the announcement that the Audi S3 would be driven by Nicolas Hamilton, brother of current F1 champion Lewis Hamilton in a rumoured £1 million sponsorship deal with Monster Energy. This is a historic moment for the championship, for it is the first time that a disabled driver will enter. Sadly, we will not get to see Hamilton in action until Croft, as he is only competing for half the season and will not be eligible for championship points. The ex-Rotek Audi has been transformed into a ferocious beast, and we can hope that it will give Hamilton some strong results in the latter half of the year. The new liveries for the 2015 are a stunning selection, which will make for a majestic sight for both the trackside and television audiences. The Pirtek livery for Andrew Jordan looks even better on an MG than it did on the Honda, while for his team mate his car is almost completely covered in sponsorship while still retaining a sense of style and good looks. The works Hondas have definitely surprised me this year; the potent mix of slight styling tweaks and the new Civic Type R have created a mouth-watering machine that looks ultra-competitive as ever. Team BMR kept everyone guessing throughout the day with their cars all still running the jet black livery with no hint of sponsors. With Plato still running the #99 car, will he bring with him his ‘Tesco Clubcard Fuel Save KX Every Little Helps Asda price’ look from years gone by? A sly placement on the front of the cars revealed a question mark (literally), which could either refer to the question of what the liveries will be or that the cars are now sponsored by ‘What Car?’. Rob Austin Racing has introduced an intriguing new look for the Exocet cars this year; the flames from last year have been replaced by what looks like smears of marmalade mixed with mustard. Eventually I will make up my mind as to whether I like this change or not. 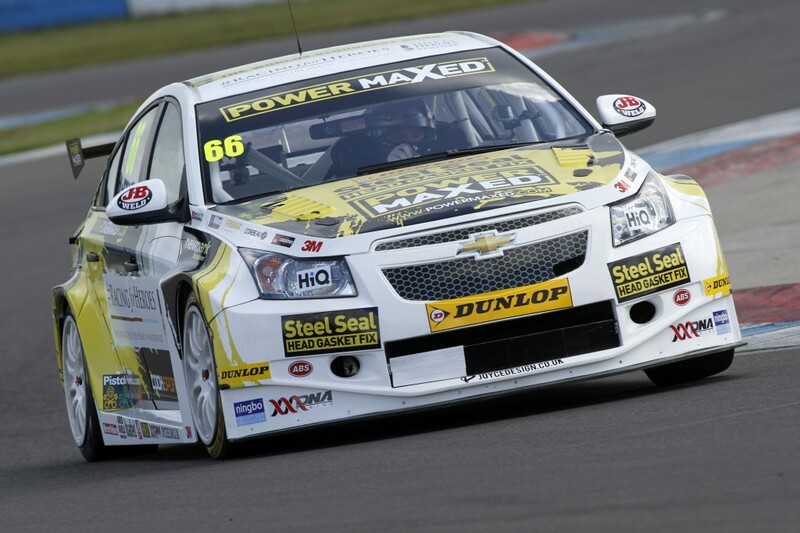 Of all the cars on the grid however, my prize for my favourite livery goes to the Power Maxed team with their Chevrolet Cruzes. The two car team including the Coffee Drops car for Dave Newsham and the #RacingForHeroes car for rookie Josh Cook did nothing but steal my attention all day with their smouldering good looks. Since acquiring the ex-Stockton car, Power Maxed are definitely on their way up for 2015! As it has for many years, ego plays such a significant part within the BTCC and although the media day is surprisingly about the media, there is also the small matter of the first official test session for the field. The testing times may not count for anything in particular considering teams are often still fine tuning their cars, but setting your personal precedent for the upcoming year is still important. 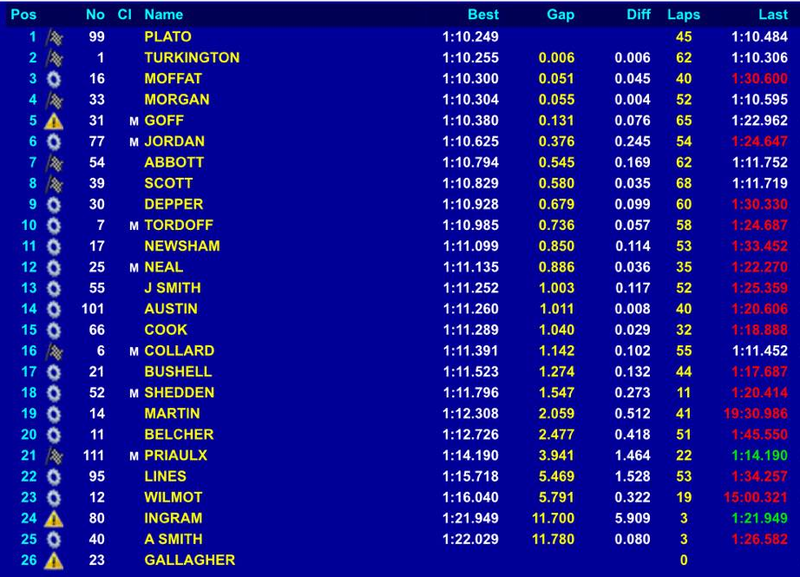 That is exactly what the BMR boys decided to do; Plato and Turkington ended the day at the top of the time sheets, separated by a tiny 0.006 seconds. The new look Triple Eight MGs made their intentions clear with a strong 5th and 6th as the official timing ended. Some of the surprises of the session came in the form of Moffat who planted his brand new Mercedes 3rd fastest and Hunter Abbott who managed an impressive 7th. Personally, one of the biggest shocks came from Martin Depper, a seasoned backmarker from 2014 who shot up to 9th only 0.679 off the pace. Having spent a great deal of last year in strong criticism of his abilities, perhaps Depper has seen the light and will become a contender for the 2015 season. Power Maxed showed nothing but improvement from 2014, with both cars inside the top half of the field. Josh Cook in the RacingForHeroes car even managed fastest rookie in 15th. Considering of course that this was Cook’s first time in a BTCC car competitively, to only be 1 second off the pace in a brand new car is something deeply impressive. The stunning new Honda team may be playing a clever game with their competition based on their times in the test. At their first test at Brands Hatch, they claimed that the new car was already faster than the Tourer from last year. 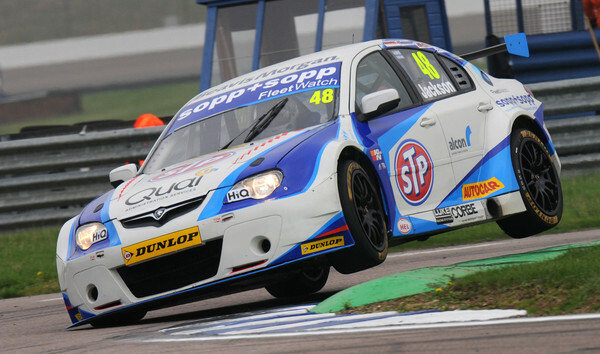 However, both Neal and Shedden were outside the top ten at Donington Park. Initially many might think that the new car is off the pace, but I sense that some mind games may be apparent. They appear to have set slow times, but I will put my money on the table now and say that come Brands Hatch they will catch everyone off guard and dominate from the front. As Media Day drew to a close, the unspoken question around the paddock was clear; whose season would 2015 turn out to be? There are so many teams that are hungry for victory, from the Hondas, to the MGs and Team BMR. But on top of that there are the young guns and the newbies who are confident of success; I would not discount the abilities of the Moffat-mobile. Furthermore, Power Maxed has already seen a massive improvement and with Cook and Newsham on board, I foresee podiums and even some race wins in the season ahead. We cannot forget the people’s champions on the grid in Rob Austin and Dan Welch. 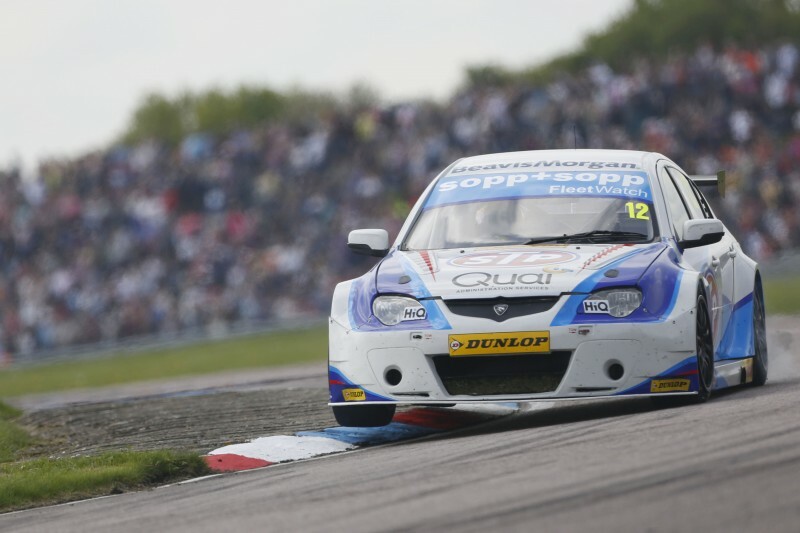 Rob Austin has been in a constant upward state of improvement since joining the BTCC and his time may finally come this year. Dan Welch and the Proton suffered an embarrassment of a 2014 season, but Welch has said that the new engine will bring them consistent top 10s across the year. As a fan of all things Welch and Proton, I do hope this will ring true. The time for conjecture and discussion will soon be over. Now is the time for action. 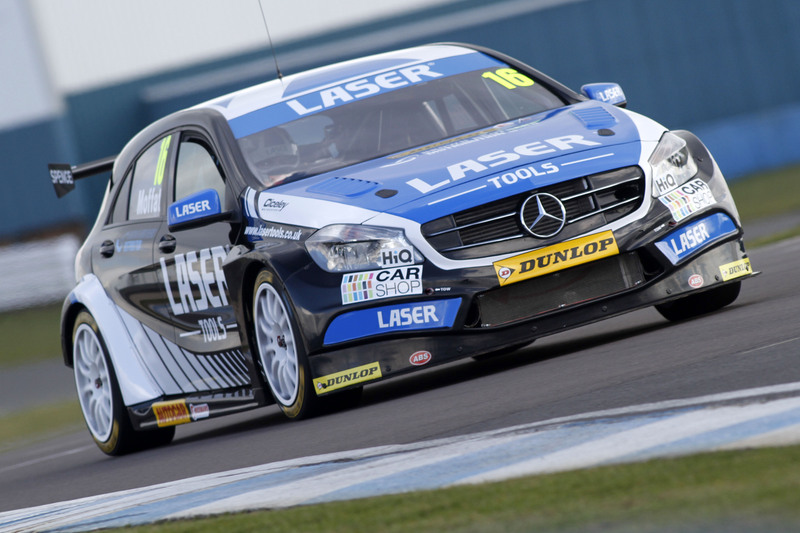 The 2015 British Touring Car Championship kicks off this weekend at Brands Hatch. Once more the engines will roar. Once more the flag will drop on the greatest touring car championship on the planet. It’s time to bring the noise. Let’s rock n roll! Note bad choice of food – and not just from a health perspective! This is an article that you would never find written in French. Or, if you did, it would consist of only one word: Don’t. There is a reason why French cars such as Citroens don’t come with cup holders. According to French thinking, food is to be savoured and given one’s full attention rather than wolfed down on the go while driving. Well, there’s a lot to say for that point of view. 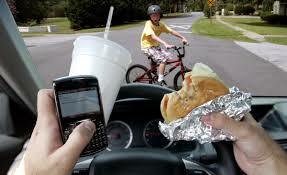 However, if you’ve got a busy schedule, you could very easily find yourself eating on the run behind the wheel. In fact, if you’re doing a long drive or if you do a lot of running around, eating behind the wheel could actually make you a safer driver. I know that when the old blood sugar is running a bit low, I tend to feel cranky and irritable, get clumsy and not think straight (no, I do not have Type 1 diabetes). So having a bit of a nibble while doing the Mum’s Taxi thing is a real sanity saver, if not a life saver. There is an art to eating while driving. You want to be able to do it safely so you main focus of attention goes on the road. You also want to be able to do it cleanly, without getting bits of sandwich filling all over the car. Ideally, you also want to do it healthily. So how? Clever snack planning is the key. You need to look out for something that doesn’t involve too much unwrapping or peeling, and something that can be stored on your lap or within easy reach so you can put it down between bites or whenever you need to use both hands (bench seats are great for this!). You also want to avoid things that drip, spill, squish or come to bits. Lastly, in at least a token gesture towards the French attitude towards food, it’s best to have something that’s not so special that it really deserves your full attention. Fresh fruit that can be just bitten into and isn’t too drippy. Apples are good. Step 1: Put self in driver’s seat, put on seat belt and place snack on lap or bench seat, or arrange it in a paper cup in the cupholder. Open packets or pick plastic stickers off as needed. Step 2: Take first mouthful and start ignition. Put snack back. Back out drive, etc. Step 3: During quiet moment of driving (low traffic, straight road, waiting at the lights), grab another bite and put snack down on lap. Step 4: Put hands back on wheel and/or gear lever and continue driving while chewing mouthful thoroughly. If you have to do anything more complicated than drive in a straight line, keep both hands on the wheel and off the snack (carrot sticks may be left in the mouth like a healthy cigar equivalent during hairy manoeuvres). Step 5: Repeat Steps 3 and 4 as needed. Don’t forget to remove apple cores, apricot pips and empty packets from the car at the end of your drive! 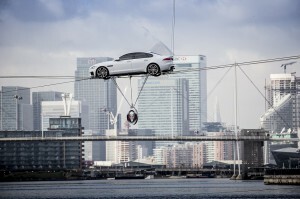 Jaguar, that quintessential and iconic English brand, unveiled the new XF in a somewhat unusual way in London. 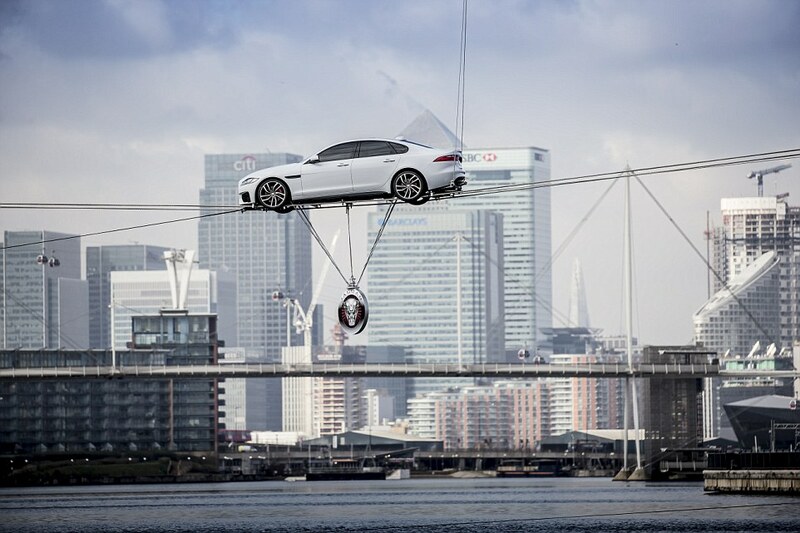 Jaguar is proud and rightfully so of its aluminuim architecture and engineering. It’s quoting 80 kilograms lighter than its nearest competitor in its segment and reduced CO2 emissions along with a mooted 70 miles per gallon (diesel engine). 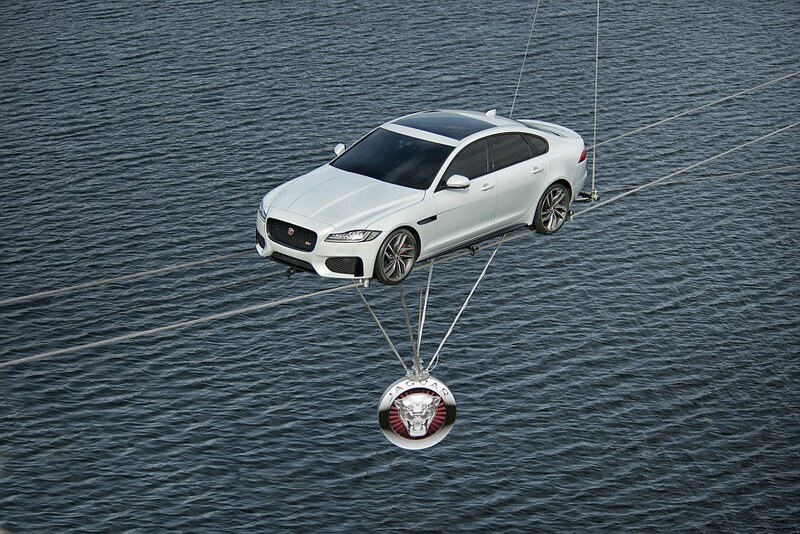 The way that Jaguar showed off its new car certainly is an eyebrow raiser; we watch humans walk along thin wires and marvel at how they stay on. 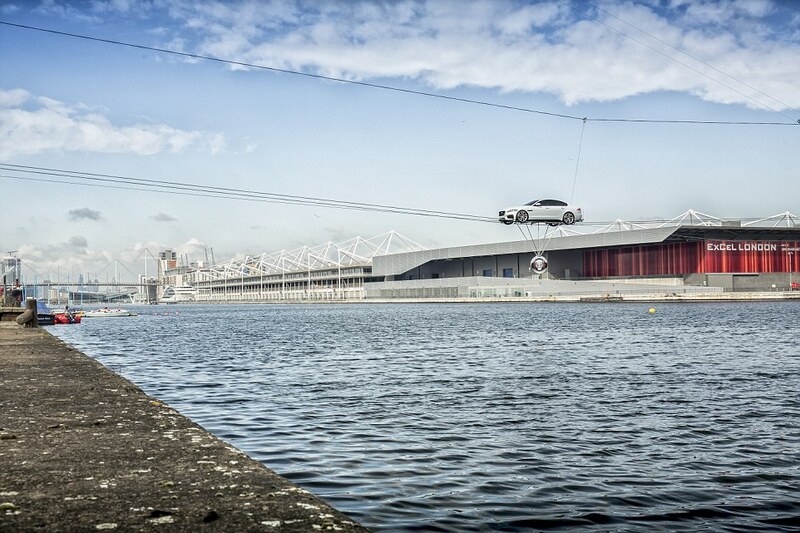 Jag went further and ran the XF across two wires, crossing the Thames at Canary Wharf. There’s been some tweaking of the design as well; to the eye it looks the same length but there’s a difference, with wheelbase extended by by 51 mm whilst the car is actually 7 mm shorter and 3 mm lower. Headlights have been trimmed and the taillights now have the same look as the popular F-Type. Transmissions will be eithe a six speed manual or eight speed auto, with powerplants ranging from a 132 kW diesel to 280 kW supercharged V6, with drag now reduced to 0.26cD. The F-Type, available in convertible and hardtop, has donated its blood to Jaguar’s first SUV, the F-Pace. The concept car, the C-X17, gave a clear indication of its heritage when unveiled; sales of the XF are scheduled for spring 2015 in the UK and, no doubt, sometime in early 2016, as will the F-Pace. Mitsubishi’s Outlander has been popular since its launch in the early 2000’s; there’s been some teasing of the new model which indicates a freshening of the front whilst the rear has been tickled a little. Interior updates have not yet been seen. 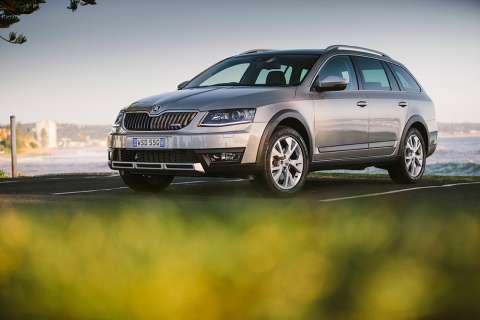 Coming soon from VW owned, Czech car maker, Skoda, is a refreshed Octavia Scout complete with grunty diesels (110 kW and six speed manual) or 135 kW (and 132 kW petrol) with six speed dual clutch autos. It’s a 4×4 configuration, with styling for the exterior reflecting its off road capability and showcasing a 32 mm ride height increase. 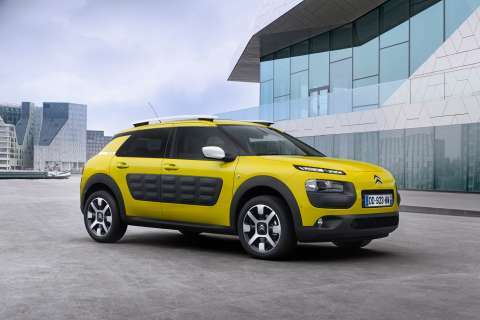 Citroen, famed for its sometimes quirky designs, says Australia will see the C4 based Cactus in early 2016; it will bring with it a bold design and innovative features including Airbump technology, magic wash and a roof mounted airbag. Unique Airbump® technology provides style with substance to absorb minor impacts, this flexible skin protects the vehicle from minor scrapes and bumps. Consisting of a multitude of air capsules under a flexible skin TPU (Thermo Plastic Urethane), the soft treatment absorbs small bumps and provides better resistance to scratches. They require no special maintenance, and directly involved in the reduction of operating costs of the vehicle. Airbump technology will also be joined by an innovative ‘Magic Wash’ system whereby windscreen-washer jets are fitted in the tips of the wipers to provide a bead of liquid rather than a spray. The system results in no loss of visibility during washing, while removing overspray and reducing consumption of washer fluid by half. Australia gets a guernsey with the designed and engineered here Ranger slated for release in the second half of 2015. There’s an American influence to the front with a more assertive, masculine design. A trapezoidal grille is flanked by new projector headlights and there’s plenty to like under the skin. Electrically assisted steering, uprated diesels with Stop/Start with potential fuel savings of 22%, Lane Keeping Aid, Adaptive Cruise Control, updated interior and handling packages spell big positives for the blue oval. Also due soon is Kia’s revamped Optima, a new Range Rover Sport, Peugeot’s updated 3008 SUV and Mazda’s baby SUV, the CX-3, is available now. So you thought that the practical driving test that you had for getting your driver’s licence was hard. I know I did. Didn’t help that the cop who put me through my paces when I was a timid wee lass of 17 was built like a brick outhouse (fine for dealing with the local drunk and disorderlies; terrifying for a nervous teenager). However, the most difficult thing I got asked to do was to back around a corner – something that I’d never heard of or seen done so I initially suspected some sort of trap. Also, the small town where I sat my licence was out that back of nowhere, and there were no hills for hill starts, no uncontrolled intersections and, courtesy of the local council planners, no parallel parking in the main street. I practically got my licence out of a cereal packet. It’s a different story on the other side of the world in Finland. I don’t think that I’d manage to get my driver’s licence even now that mumble-mumble years have gone by and my teenage son is preparing to sit his practical test for the second time (failed the first time for not having parallel parking down pat). Most of us don’t know an awful lot about Finland except that it’s up near the Arctic, borders Sweden, is the home of Nokia and produces rally drivers with names that look like they ought to belong to Tolkien characters. Good rally drivers. And given what you need to do before you get your licence, this isn’t surprising. The theory test you get in Finland is pretty much like the one you’d get in most parts of the world – a set of questions with illustrations showing different scenarios, to which you have to apply your knowledge of the road code (which you probably spent the previous night swotting). After that, the practical driving begins. No being taught by Mum and Dad for the Finns: it’s driving school for two years unless Mum and Dad have an instructors’ permit and the family car (what’s the betting that it’s going to be a Saab or Volvo from across the border?) is fitted up with an extra pair of brake pedals for the front passenger. And you can’t get that provisional licence equivalent until you’re 18. Which means you get your full licence at 20, and it’s valid for another 50 years. 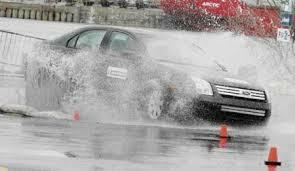 Driving school isn’t just a case of endless three-point turns and parallel parks in a safe environment. Safeish environment, yes – including computer simulations for situations that the instructors can’t make happen just like that… like night driving. I have to say that the driving course does look quite fun. There’s quite a good video clip about it. I certainly wish that I had gone through this course, with its controlled skids on icy roads, moose avoidance tests and car maintenance lessons. This sort of thing, especially the skidding bit, has two advantages. If you’re a Nervous Nelly like I used to be, being taught how to handle a skid (and what sort of action will get you into a skid) will make you more confident in your ability and you’ll thus be less likely to panic and freeze if things do get hairy. If you are at the opposite end of the spectrum and a bit of a hoon, then this will get all the skidding out of your system. Unless you go on to be a rally driver. Other countries have other interesting requirements for getting handed that piece of paper that allows you to drive. In Switzerland, you have to have done a first aid course. In Brazil, you have to have done a self-defence course. In Russia, you have to have a certificate saying that you’re sane (guess a number of former Tsars and other leaders of this country wouldn’t have passed). In Saudi Arabia, you have to have male genitalia, a Y chromosome and probably a beard. Yes, folks, in the place where a lot of the world’s petrol comes from, I wouldn’t have had a chance of getting a licence on the grounds of gender. Two small buttons on the outer lower part of the binnacle offer info options. It’s a left hand operated indicator, controls for lights and audio plus aircon are efficient and ergonomically laid out, with the audio quality a touch unbalanced, even after adjusting the levels. The compact body doesn’t allow a lot of rear cargo space, being barely enough to hold a average weekly shop. Cleverly, though, there is a second level, access by simply lifting the visible floor, allowing a bit more storage for squashable or flat items. .Naturally, there’s plenty of safety, with airbags and electronic aids, including a form of crash avoidance; a small icon lights up on the (black and white) dash screen if the system detects the Polo is getting close to the vehicle ahead and is under acceleration. It’s unintrusive and a simple reminder for the driver not to get too close. 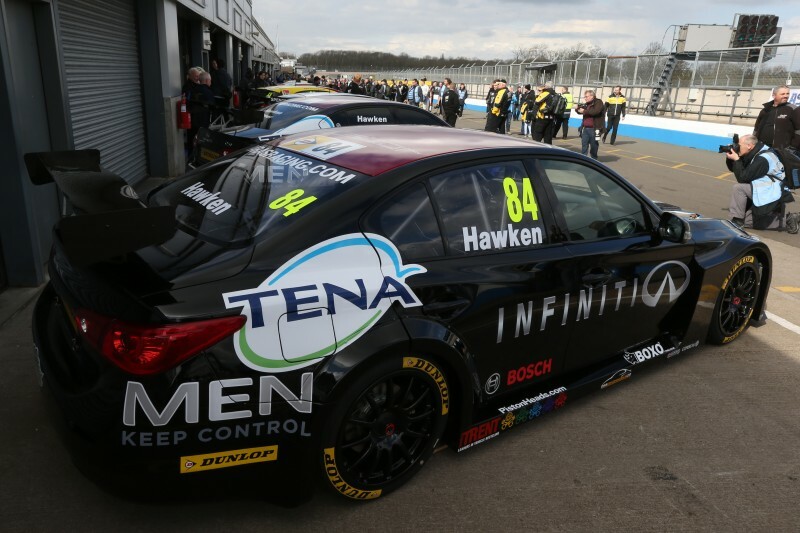 The latest news to come swirling from the dazzling world of the BTCC sees the Welch Motorsport team continuing to use their own engines over the standard TOCA unit. Proton has always been the car of choice for the team, which slots them perfectly into the brief yet determined history of Proton in the British championship. Since their debut into the series in 2002, Proton may not have enjoyed a glittering career, but through their recent resurrection at the hands of the Welch Motorsport Crew the Malaysian manufacturer lives on. 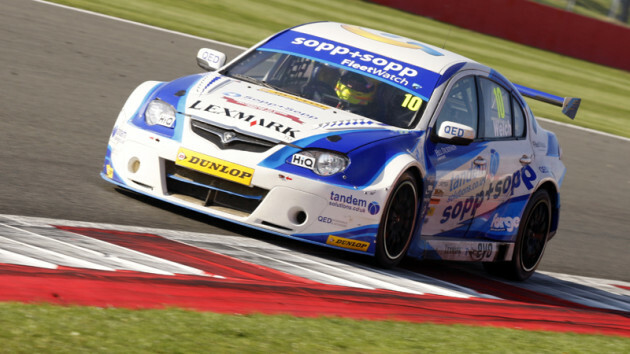 Chances are, when you think back to the big names of the BTCC from the past and present you will hear names such as Honda, MG, Ford, Nissan, Volvo or Toyota to name but a few. For those more extreme fans, they would also mention Peugeot, Alfa or possibly Mazda. However, one name that has often been left out is that of Proton. The Malaysian manufacturer missed out on the glitz and glamour of the Super Touring, first entering the championship in 2002 as part of the revamped BTC Regulations. It is fair to say that from their inception, lady luck never really sided with Proton. To maximise performance, most teams would take only the body shell of a car and quite literally build their race car from the ground up. For the Proton team this was but a wistful dream just too far to achieve. Due to the difficulties of importing the body shells from Malaysia, the team had to buy road cars from the local dealership and then work to transform them into the BTC spec Proton Impian. Proton however was not completely void of hope. One arrow in their quiver came in the shape of the Mountune Racing engines, whose strength, performance and abilities were credited throughout testing. Furthermore, they were able to bring on board returning driver Phil Bennett who had previously raced for the Egg Sport Vauxhall team as well as Scottish legend David Leslie. Leslie was a man famous for taking relatively new teams and bringing out the best in their cars, something he had done for the Ecurie Ecosse Vauxhall in 1992, Honda in 1995 and most notably Nissan in 1997 onwards. The 2002 season was arguably quite successful for the Proton team, with Leslie achieving multiple podium finishes and finishing 7th overall in the championship. Phil Bennett on the other hand failed to repeat his successes of 2001 and ended the year well down the order. A full overhaul for 2003 predicted strong results, yet the reality could not have been further from the hopes. The highest position achieved across 2003 was a single 5th at Mondello Park for David Leslie. Phil Bennett once again failed to impress, probably due in the most part to his inherent lack of ability to hack it in the BTCC field. The final year of Proton as a manufacturer in the BTCC can be described as nothing short of an embarrassment. Leslie and Bennett were replaced by South African Shaun Watson-Smith and Malaysian driver Fariqe Hairuman. Whether it was a stunning absence of talent, an underpowered car or just a team that is not suited to racing, the two drivers finished 14th and 23rd in the standings. To put this into perspective, 2004 was Proton’s 3rd year in the championship yet they still finished stone dead last in the manufacturers championship, a whopping 325 points behind the Seat team (who by the way, were competing in their first ever season in the BTCC). It came as no surprise that Proton pulled out after 2004, probably due to the abject misery that surrounded them throughout the year. For 7 years, Proton lay dormant having seemingly slipped into the pages of history. But all was not lost, for in 2011 Welch Motorsport announced their plans to rejuvenate the Proton name with an independent entry for Dan Welch. The 2011 part entry in the Gen-2 was more of a sighting season than an intended competitive year. In the penultimate race of the year at Silverstone, Welch gained his first point for the team with a 10th place finish. It was in 2012 that the Proton wheels truly started turning when they entered the Persona, with the new backing of Sopp and Sopp. The highlight of the year came at Oulton Park when Welch finished 4th following a truly epic battle with the Honda of Matt Neal. That even won him the Champagne Moment of the Year Award. In 2013, Welch Motorsport became a strong midfield runner, finishing 10th at the end of the year. Ten years after a truly woeful season in the BTCC, it seemed history was going to repeat itself in an almost anniversary fashion. Welch announced that they would be running their own engine instead of the standard TOCA unit, which turned out to be a mistake. As soon as they submitted their homologation to TOCA, there was nothing they could change about their power unit. This was a shame, considering their engine was (self-admitted by them) all kinds of awful. For Welch and new boy Ollie Jackson, 2014 was a year spent trailing at the back of the grid struggling to even remain on the same lap as the leaders let alone challenge for position. It therefore came as a bit of a surprise when Welch Motorsport announced that they would continue with the use of their own engines for Welch and new man Wilmot for the 2015 season. They have announced that they have focused ‘140%’ on the engine across the close season. Now considering that engines are all about balance of power, performance and efficiency, focusing an impossible percentage on their development does cast some doubt over their abilities for this year. But seriously, the team seem optimistic about their chances of advancing through the field. What I am most impressed with is the fact that the Welch boys are sticking with their own power unit. I have a lot of respect for anyone with the determination and perseverance to go against the norm (and the easier option) so as to introduce some variety into the BTCC. In the early 2000s I will admit that I did not have that much of an opinion about the Proton team. What I do have however is a piece of broken Proton that I collected from Thruxton from 2004 I believe it was. As soon as Dan Welch entered his independent Proton into the championship, my attention, my respect and my heart was stolen. I will always have a great deal of respect and fondness for the Welch prepared Proton team, hence the inception of my affectionate ‘Squelch’ nickname that I often use. Proton has never been a front runner in the British Touring Car Championship; they are the true underdog manufacturer whose time will one day come. 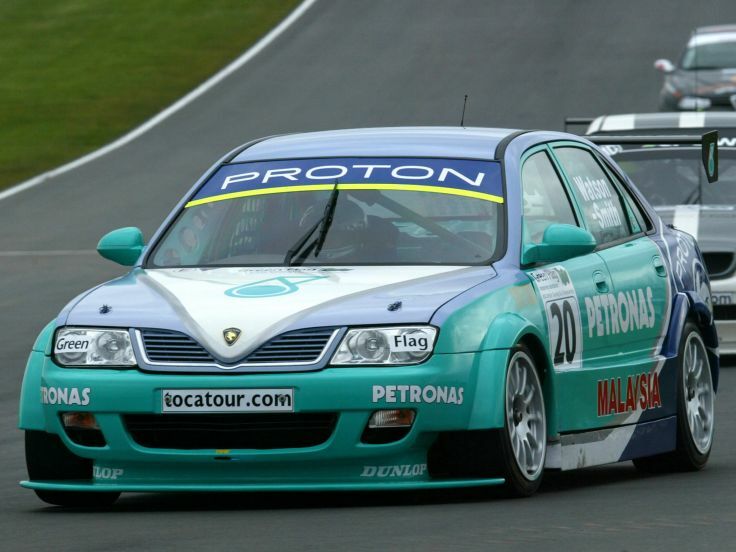 Proton has enjoyed success in Asian based touring car series, but never in Britain. If anyone can take Proton to the top, it could only be Welch Motorsport. Their persistence even against all adversity put before them is admirable and eventually their hard work will pay off. I wish them all the best for their 2015 BTCC Season! SUV: Sport Utility Vehicle. Toyota can take the charm or the blame for giving Planet Earth this, thanks to the RAV4. It didn’t take long for other manufacturers to join the queue, even the luxury brands. Nowadays, if you don’t offer a SUV or three, your sales force will take a hit. But what is a SUV? The way I see it, in simple terms, it’s a crossover between a station wagon and a four wheel drive, with the origin sometimes a sedan style vehicle that became a wagon. The RAV4, the car some call the original SUV (although the Americans will claim it was the Cherokee in 1984 that started the trend), was and remains a wagon in shape, sitting on a raised body style. Let’s break down where we sit in 2015; there’s no longer a case of one size fits all, so, for the purposes of simplicity, I’ll go small/medium/large. 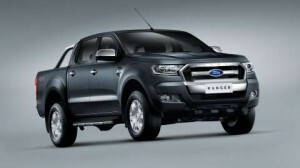 Australia’s perennial combatants, Ford and Holden, both offer entries in the small SUV size. 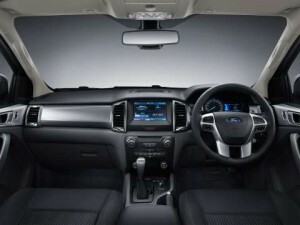 Based on their small cars, the Fiesta and Barina, they offer up the EcoSport and Trax. They’re tiny, at just under 4300 mm in length and sitting on wheelbases of just 2600 mm. It really is as if the hatch has been perched on top of a mini four wheel drive system. Power comes from, generally, the same kind of engines found in the “donor” vehicle. 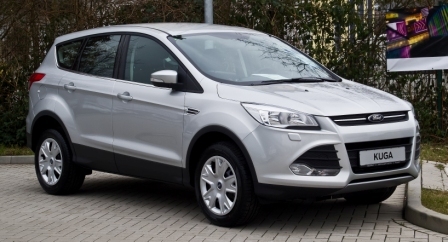 The Trax offers either a 1.8L or turbo 1.4L whilst Ford has the same 1.0L three cylinder as found in the Fiesta, in its range. Next step up the ladder we find the Audi Q5, Porsche Macan, Ford Kuga, Jeep Cherokee, Holden’s Captiva, Kia Sportage, Hyundai ix35/Tucson, Nissan Dualis and the one that started it all, the RAV4 and they’d all be within this medium class. Most are five seaters only, a couple offer seven (albeit) cramped seats, will vary in engine capacity and fuel (diesels start to be more common here, at around the 2.0L size). Subaru’s evergreen Forester would dovetail nicely and has just been updated to slide a diesel into the engine bay as well. 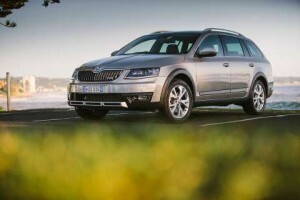 Features such as forward collision warning, auto tailgates and the like start to become within reach. Drivetrain options will be primarily automatic and front wheel drive only, with some makers offering some off road ability and electronic controls like Hill Descent Control, however the Cherokee will be a standout with a “proper” off road transfer case and four wheel drive capability. Up the ladder we find the large SUV; consider the Grand Cherokee, Volvo XC60/90, Mitsubishi Outlander, Hyundai Santa Fe, Kia Sorento, Toyota Kluger, Porsche Cayenne, Audi Q7, Ford Territory and such. Price will vary considerably between makers and individual models with a range, with features such as glass roofs, seven seats, rear seat air conditioning vents and controls. Off road capability increases, with more having a centre locking differential as standard (but not necessarily a transfer case for low range gearing) plus ride height will have increased and diesels will be more prevalent compared to petrol engines (generally around 3.0L and above) and interior trim levels and equipment will have increased to reflect the specification level. Mazda once had the CX-9; sales decreased due to the viability of the CX-7 hence I include the CX-7 here, with the CX-3 and CX-5 slotting into the small an medium car parks. Companies such as Nissan and Toyota do provide dedicated off road capable vehicles such as the LandCruiser and Patrol, as does Land Rover and Range Rover. As such, they tend not to come under the SUV umbrella. 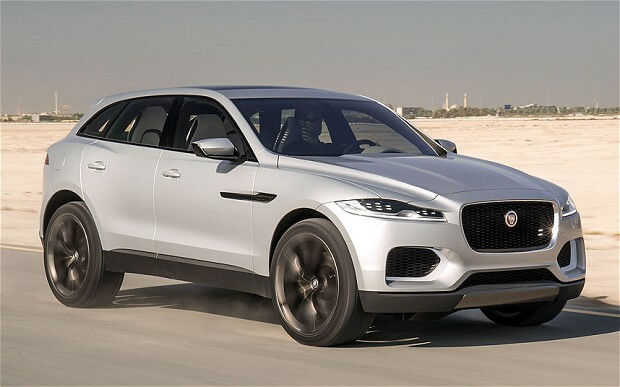 This article is also not intended to be a solid and definitive coverage, rather it’s to provide a guideline and paint an idea of what a SUV may entail. For more specific details, please use the various company websites. Two nuns were driving along a remote rural road in County Mayo in northeastern Ireland when they ran out of fuel. They walked to a nearby farmhouse and explained their plight to the farmer. 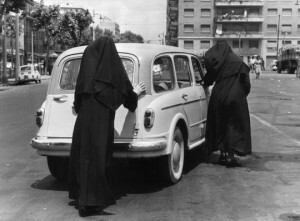 “To be sure, sisters, I can give you a bit of petrol so it’s off on your good works you can be driving. But I’ve only the one jerry can, so the only thing I can give you to carry it back to your car in is this old whiskey bottle.” “Bless you, Patrick, and thank you,” said the nuns. They walked back to their car clutching their whisky bottle full of petrol. As they were pouring the petrol from the whisky bottle into the fuel tank, Sean O’Reilly drove by. Spotting the whiskey bottle, Sean shook his head and stared. “Begorrah, that’s what I call faith!” he said. We chuckle about that one (or the alternative version where the farmer lends them a chamber pot) but the story can be killed stone dead if one remembers that alcohol is indeed one of the more common alternative fuels is alcohol – ethanol, methanol, butanol and propanol are good fuels. You’d never bother setting that story about the nuns in Brazil – over there, they have cars (often the locally produced VWs) that are designed for flex fuel – they run on petrol, alcohol or a mixture of the above. And we’re not too bad for the old ethanol in Australia ourselves. And now the UK and Ireland are getting in on the act. A whisky distillery in Edinburgh, Scotland, has just announced that they have successfully produced a butanol blend that can be used on its own or blended with diesel or (better still from a sustainability perspective) biodiesel. They use waste products from the process of distilling whisky – an industry that’s quite large in Scotland, as you might imagine. The waste products in question go by names that are anything but long bits of Latin and Greek: draff and pot ale. Draff is the malted barley left over after the initial brewing process (lovers of craft beer and home brewers of beer will know what I’m talking about here). Pot ale, on the other hand, is the leftover liquid after the whisky has been distilled out of the original brew of fermented grain (something that resembles beer or ale but without the hops). These two products are mixed to create a blend given the traditional name “broth” (isn’t it nice to see a scientific product that doesn’t feel compelled to use long and complicated names but just uses something with Anglo-Saxon or Celtic origins?). This broth goes through its own distilling process to produce the biobutanol. The plant, which has hefty backing from the Scottish government and the UK government (let’s just not go into the politics of Scotland here, OK? ), hopes to be up and running fully in 2016. Because butanol delivers plenty of oomph, there’s a chance that it won’t be appearing at British bowsers at this stage: as it’s suitable as jet fuel, the aviation market might snap plenty of it up. However, the potential is there to produce lots of biobutanol, as the UK doesn’t just have whisky distilleries to draw on as a source of draff and pot ale: there’s the beer brewing industry and other sorts of distillery to draw on as well. Lastly, for the clever readers who’ve spotted the two different spellings of whisky/whiskey: “whiskey” is for the Irish version; “whisky” is the Scottish variety). A Wheel Thing is wrapping up a month of Volvo with the XC60 T5; the upper mid sizer is a great way to travel, comfortable and roomy and a fantastic long distance traveller. It’s the now familiar 2.0L turbo petrol engine, with that 350Nm of torque from 1500 to 4500 revs. Performance is slightly dulled in the XC60 thanks to the 1766 kg dry weight (then add fuel, passengers and cargo) but never to the point of feeling lacklustre. The torque is pushed out via the front wheels through a eight speed auto, geared to take advantage of that torque. Acceleration is rapid, as a result, surprisingly so for the bulk, at just a tick over seven seconds. Economy will vary, naturally, on driving style and location, however in one week it rounded out as close as dammit to 8.0L per 100 kilometres covered from the 70 litre tank. This was, admittedly, helped by a good length country drive to Kiama, on the NSW coast just 90 minutes south of Sydney. She’s a good size, slotting nicely into the upper mid size bracket, alongside competitors such as the Hyundai Santa fe, Kia’s Sorento or Jeep’s Grand Cherokee. It sits high but not so that a five year can’t get in easily. It’s a pleasing mix of curves, both subtle and overt, especially along the rear haunches. Sitting on a 2774 mm wheelbase, with a length of 4628 mm, there was plenty of sheetmetal to work with and throughout its design life the XC60 (first released in 2008), it’s been a bluff, upright yet handsome beast to look at. In profile it’s a wedge shape, perhaps a touch heavy in the rear quarter, with a leaned forward tailgate, whilst seen directly from the rear, it’s a mostly squared off look, softened by the inwards tapering tail lights. The front is standard Volvo family fare and rolling stock were 18 inch alloys, clad in 235/60 Continental tyres. It’s little different to look at, dash wise, to the other members in the Volvo family with the three colour choice display, key slot (proper keyless start here however), a mix of black and off white plastics, a brushed alloy look to the steering wheel spokes, B pillar mounted air vents for the rear seat passengers plus built in child seat boosters. The rear gate is power operated, using the key fob or buttons inside; it’s simple and effective access to the cargo area, which has a false floor, offering extra cargo space if needed. The front seats are, naturally, power operated, with the driver getting a choice of three memory settings. Again, it’s a cozy, comfortable workspace, with room enough thanks to the total width of 1891 mm and height of 1715 mm. A downlight is the offering of shifter paddles, a totally needless addition. Sure, it’s close to 2000 kegs when loaded up, but that torque and gearbox work so well together it’s not really noticeable. Most of the mass is low down, so a hard turn sees the centre of gravity effect kept to a minimum. Even the brakes have no issues in hauling down the XC60, with a smooth and well modulated pedal feel adding to the overall luxury ambiance. The high style is backed up by the high sidewalls offering up a compliant and plush ride, doing a great job to balance out road imperfections and handling. It’s a front driver, the T5 yet torque steer was minimal and understeer was only noticeable when ferociously pushed into a turn. The steering was well weighted, with enough pull and push feel to have a driver not wish for more or less. It’s been a great five weeks with Volvo, with one more to come soon; the XC60 is a great way to wrap up the month. There is no doubt that the Volvo XC60 T5 offers family friendly luxury at a good price, it’s both roomy and fuel efficient enough and with plenty of driving dynamics to please a driver with sporty pretensions. Head here: http://www.volvocars.com/au/all-cars/volvo-xc60/pages/default.aspx for XC60 details. While I was walking to work this morning, I came across a navy blue Vauxhall Astra parked on the side of the road. For the others passers-by, there was neither a flicker of recognition nor even a glimpse of acknowledgement. However, for a diehard fan of the BTCC such as myself I was instantly transported to a cold, windy and astronomically wet Kentish winter nearly 14 years ago. You see for me, that blue Astra represents a thrilling finale to a championship filled with change, battles and scandal. For this issue of BTCC Drives, I would like to take you back to 2001 and the thrilling finale of a season long grudge match between two of the biggest names in touring cars. 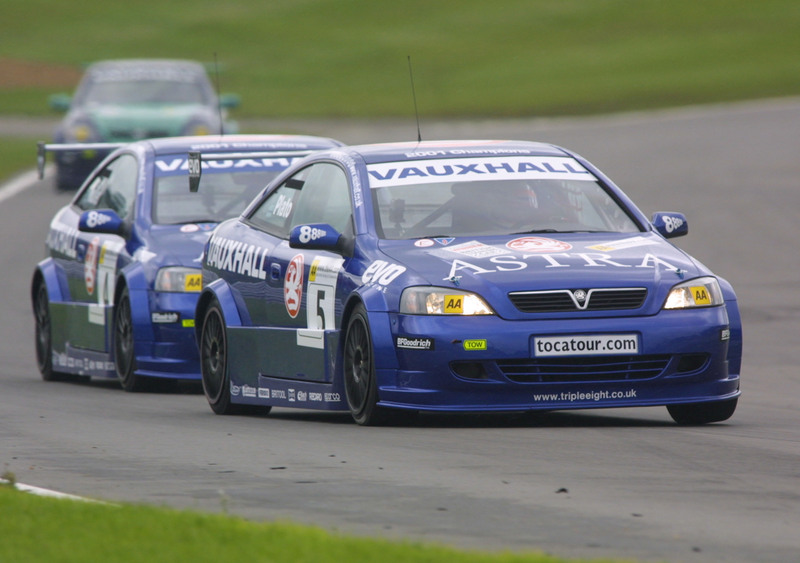 The 2001 British Touring Car Championship was somewhat of a landmark year; the Super Touring era had made way for new BTC-Regulations which significantly downsized the grid, while adding a new ‘production’ element. The start of the year saw cars as few as 6 or 7 take the start, with Vauxhall the only returning manufacturer. Peugeot, Alfa and Lexus all entered but a severe lack of testing was matched by a debilitating absence of performance. Only when MG turned up at the end of the year did they take a race win away from the Vauxhalls. 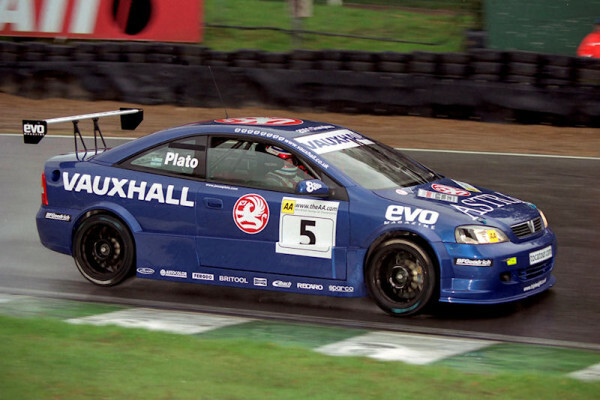 As a result, 2001 was an all-out dog fight between Jason Plato and Yvan Muller. Watch that titanic final battle between Muller and Plato at Brands Hatch here! The year had been dominated solely by the rivalry of Plato and Muller, which had slowly turned sourer as each race rolled by. Things had come to a head at Silverstone when Plato appeared to ‘spin’ Muller which cost him the race win, when it turned out Muller had suffered a mechanical problem and tried to make Plato lose out as a result. On the podium, Muller refused to acknowledge Plato, like a truly petulant child. So when it came to the final rounds at Brands Hatch, the garage was almost literally split down the middle. Two drivers with equal status, two drivers who could win the title but only one title; it was always going to be a good one. A thrilling championship decider is one thing, but when the scene is set at weather battered Brands Hatch, it was always a contender for an entry in BTCC Drives. Speaking as a spectator at that race weekend, my abiding memory will forever be that final race and THAT rain. Of the years I have been attending race meetings at Brands Hatch, Sunday will go down as possibly the worst conditions there have ever been. On a darkening track, the rain battered the teams, track and spectators with a vicious intensity. But worrying about the weather was the least of anyone’s’ worries; there was a championship to sort out. The first race of the day was won by the returning Anthony Reid in the late MG entry, with Plato and Muller finishing 3rd and 4th respectively. Therefore, going into the final race of the year there were 6 points separating the top two drivers; Plato on 324 and Muller on 318. Muller would need at least one car between him and Plato to take the title. As the flag dropped on the final race, the weather conditions had deteriorated even further. As Muller charged towards the front of the field, in a cloud of spray and mud Plato spun his car on the entrance to Clearways. Somehow, he managed to merely brush the barrier, get the car moving and power back into the race. Just a few laps later, Muller almost repeats the pirouette Plato pulled, by going straight on at Clearways and collecting a load of mud in the process, just managing to hold it together and retain the lead. Meanwhile in the production class, Moen chucked his Peugeot off into the gravel, bringing out the safety car and giving the luck-filled Plato a chance to march his way back up the field again, helped by both MGs pulling off at the side of the track with mechanical problems. Thompson took a pot shot at the production Proton and came off second best with a broken suspension, while Graves threw it off on the entrance to Druids. It was all falling into place for Plato, especially with Muller straight lining Clearways again and collecting even more rubbish in his car. It would turn out to be the famous John B&Q that would be the deciding factor in the outcome of the championship. Having beached his car on track, the safety car came out again to close Plato up once again. But as the cars coasted around behind the safety car, the cameras caught a glimpse of the underside of Muller’s car. A fire had broken out which forced Muller to pull off and retire. The mixture of track conditions and Muller’s multiple forays into rally cross ruined the engine and of course his championship. For me, what made that race so memorable was the potent combination of factors that came together to produce Plato as the outright champion. At no point was the outcome set for any driver on the grid. Plato went from losing control of his Vauxhall to finishing 2nd and taking the title, while Muller drove a masterful race and slight mistakes cost him his propulsion abilities. No one could have possibly predicted anything that happened. This level of unpredictability truly characterises the magic of the BTCC. In a season filled with scandal in the Vauxhall garage, it was fitting that the championship went down to the wire in a race filled also filled with drama and revelation. I remember sitting at the Paddock Hill grandstand, shivering under the majesty of the winter wind, rain and darkness transfixed on the action on track. I will never forget the gasps from the crowd when Muller’s car spontaneously combusted. Even in truly awful conditions, the fans were united in suspense. Rivalry. Suspense. Action. This is what the BTCC is all about! 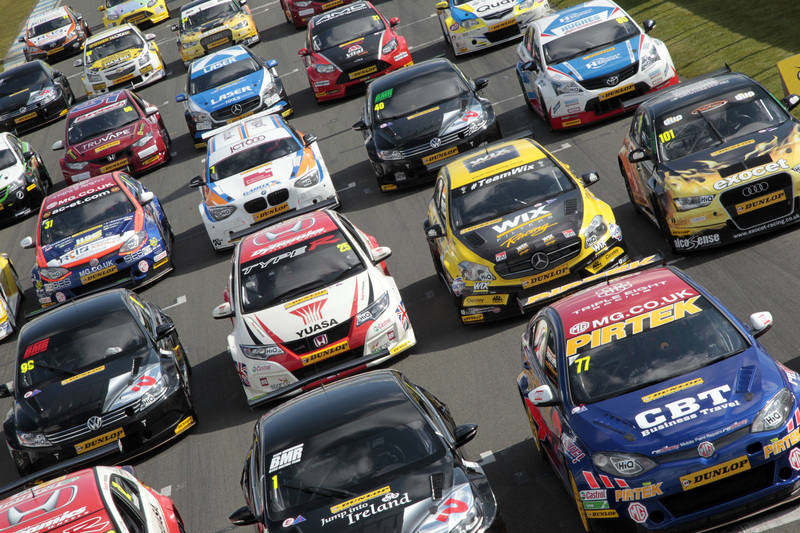 Remember to keep your suggestions coming for your BTCC Memorable Drives!